Flooding and water damage events at Stoneham, Wakefield, Reading and North Reading commercial properties are often complex with numerous issues that require a knowledgeable and flexible response. Whether we’re dealing with a relatively small water cleanup scenario or a large scale event, we work quickly to assess each unique situation and isolate the damaged area. In many instances, normal operations can continue in a temporary space while we restore your facility. SERVPRO of Stoneham/ Wakefield specializes in the cleanup and restoration of commercial and residential property after a damaging event. Our staff is highly trained in property damage restoration. From initial and ongoing training at SERVPRO’s corporate training facility to regular IICRC-industry certification, rest assured our staff is equipped with the knowledge to restore your property. Avoid a flooded basement, this year and forever! Normal spring thaws can cause a small trickle to become a bigger issue. Foundation cracks that weren’t a problem before have the potential to become a huge problem now. This year’s sudden spring thaw could exacerbate any issues that were not taken care of in the past. In late winter and early spring, the ground can’t absorb all of the rain and snow melt, so it flows along the foundation. A proper drain system, sump pump and sealed cracks will help you avoid problems this spring. Move valuables and expensive items you may have in your basement, or use pallets and shelves to keep them elevated. When there is a natural disaster, often the emergency items you need are sold out, so plan ahead. There are still things you can do to mitigate the damage. If you can do it safely, turn off the electricity. But don’t get electrocuted! If you can reach the breaker without standing in water turn it off. If you’ve got just a bit of water in spots consider yourself lucky. If you can clean it up with a wet vac and have fans to dry it afterward you might be all set. If your basement has flooded more than an inch, it’s best to call us. If you have a sump pump and fans, you may still wish to tackle the job by yourself. Submersible water pumps work best when you place them in the deepest part of the flooded water. If dirt and debris builds up and clogs the screen around the pump, clean it out and consider using something like a small tool to prop it up a bit. This will increase the space for water to flow through the pump. Use the widest and shortest hose possible, this will enable the pump to work faster. When all the water is up and it appears dry you may still want us simply to treat the previously flooded area in order to kill any mold before it’s an issue. To avoid this problem next year you must identify where the water came in. Remember water will travel down the path of least resistance. It is strongly advised to dig outside near the foundation and repack the soil. Dig down to where the water came, and then dig out and to the sides a few feet. There is a channel that you may not see but you will disturb and avert if you do this. Next year, water will not flow in that same direction if done correctly. Last but not least, our friends at Signature Page Real Estate in Woburn, suggest having a dehumidifier in any basement, old or new. If water comes in and it’s too much to tackle yourself, call us. Mitigating water damage is one of our core competencies. We’ll tackle the job at hand, and be sure your water problem doesn’t become a mold problem later: "Like it never even happened." Contact SERVPRO of Burlington/ Woburn for mold remediation services. SERVPRO of Burlington/ Woburn specializes in mold cleanup and restoration, in fact, it’s a cornerstone of our business. Our crews are highly trained restoration professionals that use specialized equipment and techniques to properly remediate your mold problem quickly and safely. SERVPRO of Burlington/ Woburn is available 24 hours a day for water emergencies, large or small. When you are dealing with water damage, immediate action is crucial. A delay of just a few hours can greatly increase the severity of the water damage. We understand that when you call us, you may be feeling confused, stressed, and vulnerable. You need an expert to guide you through this crisis. SERVPRO of Burlington/ Woburn has the specific water damage training and experience to help you through this tough time. We specialize in water damage restoration—in fact, it's the cornerstone of our business. SERVPRO of Burlington/ Woburn specializes in the cleanup and restoration of residential and commercial property after a fire, smoke or water damage event. Our staff is highly trained in property damage restoration. From initial and ongoing training at SERVPRO’s corporate training facility to regular IICRC-industry certification, rest assured our staff is equipped with the knowledge to restore your property. 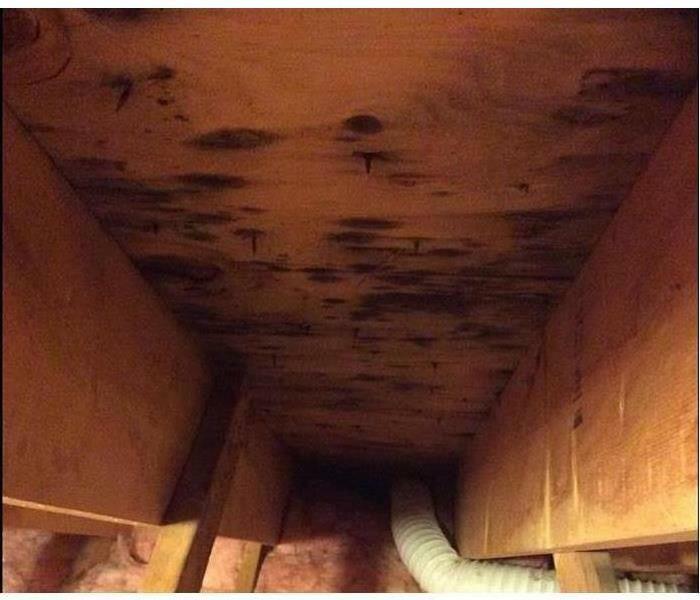 If You See or Smell Signs of Mold, Call Us Today – (781) 935-8222. SERVPRO of Burlington/ Woburn is an IICRC firm. The Institute of Inspection, Cleaning and Restoration Certification (IICRC) creates the standards for the restoration industry and provides training and certification to restoration companies. IICRC Certified Firms have the right to display the IICRC Certified Logo. SERVPRO of Burlington/ Woburn specializes in the cleanup and restoration of residential and commercial property after a fire, smoke or water damage event. Our staff is highly trained in property damage restoration and we are an IICRC Certified Firm. We believe in continuous training: from initial and ongoing training at SERVPRO’s corporate training facility to regular IICRC-industry certification, rest assured our staff is equipped with the knowledge to restore your property. In as little as 48 hours, mold can quickly become a problem in your home or business when there’s a water intrusion, like a roof leak or leaking water line. Mold can cause health effects and can also cause significant damage to your property. SERVPRO of Burlington/ Woburn have the training, protective gear, and specialized equipment necessary to handle your mold problem. Contact a SERVPRO Franchise Professional for mold remediation services. Sewer backups should be considered an emergency since the water may contain viruses, bacteria, and other microbes that cause serious illnesses. SERVPRO of Burlington/ Woburn have specialized training and equipment to quickly and safely clean contaminants like sewage. Toilet Overflow or Sewer Backup? Water damage can be classified by the three types of contaminated water. SERVPRO of Burlington/ Woburn will inspect your home or business to determine the appropriate plan of action for the type of water encountered. Water contaminated with sewage backup should be considered an emergency situation and dealt with as quickly as possible. SERVPRO of Burlington/Woburn are available 24 hours a day, 365 days a year. They are water damage restoration specialists with specialized training, equipment and protective gear to safely restore your home or business. Have A Fire or Smoke Damage Emergency? Have your roof tested to determine its existing condition and life expectancy. Have a moisture survey of your roof done. 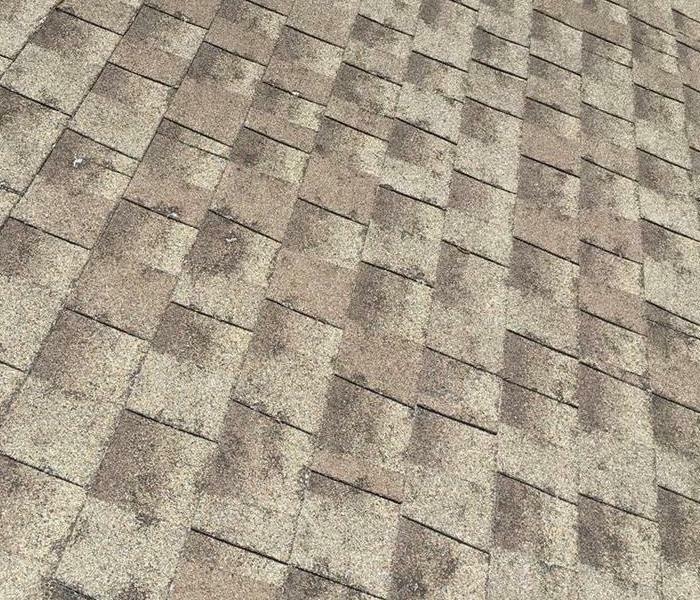 Let a professional roofer assess the extent of the damage—is it just a patch or it is the entire roof? Request a weather impact condition report to see if your roof was even subject to the hail. When searching for a roofing company, make sure that it offers each of the above services.